Why did my cast and crew work for FREE? I know this is a very controversial topic within the film industry, in fact any industry. The Joker once said “If you’re good at something, never do it for free” Let me also say that unless it’s a charity or another worthy cause, I do not work for free, so how did I have the audacity to ask others to work on my short film for no money? The answer is, had myself, the cast and crew not worked for free on our short film “Demented” then it would never have been made. This was a self funded independent passion project with a budget of £300. All of the budget was spent on kit hire, props, costumes, make up, food and travel expenses. 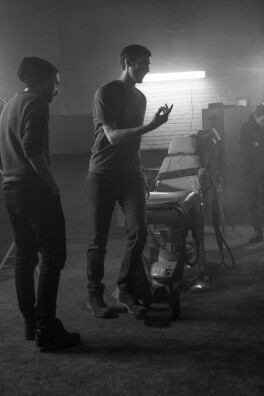 I like to think we were all very resourceful with producing a high production value short film for very little money. It helps that I already owned the camera (Sony FS7) and sound equipment and can be quite persuasive when it comes to sourcing locations. After the film was complete I asked some of the cast and crew why they worked for me for free. I literally made an oath to myself that I wasn’t ever going to work for free again. But when I read the script I knew I had to audition! If a project looks like it has potential and the driving force behind it appears professional and skilled then you’re onto a winner. You don’t always do projects for money, you do them for the passion of performing, the people you meet and to produce something special. I asked one of the crew members Pat Boyle who was our on set sound recordist and contributed to the grade during post production. I’m of a creative background and from a mind set of saying yes. Although I run my own production company on a day to day basis I feel that being positive and taking a punt on other exciting projects means karma will sort me out in the long run. It’s great to hear directly from the cast and crew that they saw value in the project from the start and didn’t necessarily require a wage. The film was shot in 6 hours. Rehearsals and lighting setups took approximately 5 hours so it was a full day on set. 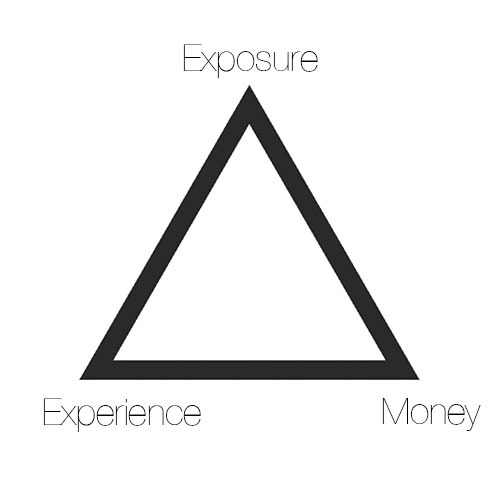 There’s a project triangle that I was taught when I first started out in the industry. I’ve drawn it up here. EXPOSURE. EXPERIENCE. MONEY. In any job you want to be hitting at least one or two of the points on the triangle to make it worth your while. All 3 and you’re laughing. Exposure – Will the project help showcase your particular skills set in the industry with the intention to drive you more work in the near future? Money – Will you receive monetary compensation for your time? Ultimately if a project comes up and you don’t feel that you’ll receive at least one of the points on the project triangle then walk away. It’s as simple as that. “Demented” had a cast of 2 and crew of 7. I’d met everyone through previous work or online. I had to pitch my script to each and every member. This is because I knew I was asking for a day out of everyones professional careers to work on something different. After reading the script and seeing my previous work, everyone was on board. 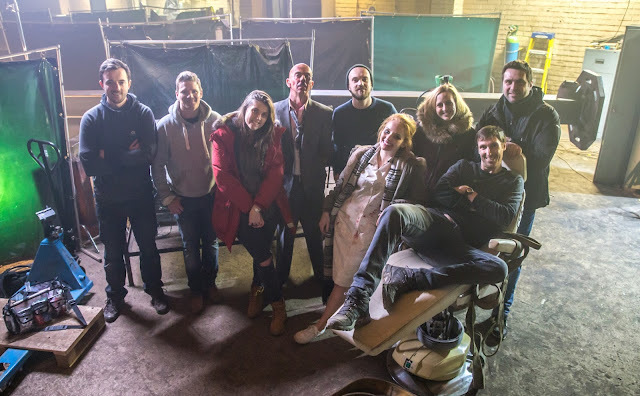 On set of “Demented” with a happy cast and crew! I kept my project triangle in mind and made sure everyone was getting something out of the project. Ultimately we’re all in the creative industry because we get a buzz from being creative. Money isn’t everything. As long as there isn’t a high end corporate brand exploiting staff for their years of skills and experience to turn over a profit then I say get involved with as many productions as you can afford. We’ve all got to make a living but lets keep producing and improving our skills as film-makers! Cal specialises in short promotional videos for corporate businesses and events. Based in South Manchester but within reasonable driving distance of Leeds, Liverpool, Nottingham, Birmingham and Stoke on Trent.